The following information has not been evaluated by the FDA or by our company. We do not claim that our products directly prevent, or cure any disease. We do not suggest that anyone should replace traditional medical treatment with our products. Our company's products are promoted for their ability to enhance the effectiveness of our natural immune system functions. On this website you will be exposed to many testimonies and nutritional ideas. We encourage you to use common sense and prudence in evaluating testimonies, research, and the opinions of individuals who post on this board. Testimonies can be based on "placebo effects," which basically means that you can experience temporary results just because you really believe you will get better. “Placebo” results generally fade a way after a short period. Keep in mind that some of these statements and testimonies come from distributors of these products and may have a conflict of interest. Research can be complicated to translate into real life situations. The positive results achieved in the short term through in vitro and in vivo studies do not take into account long-term side effects, which could be positive or negative. There are herbs and nutrients that can be harmful if consumed in large dosages such as vitamin A. When consuming nutrients with medical drugs you should check with a pharmacist for possible drug interaction problems. Occasionally we have medical doctors visit our board and share their opinions and experiences. Although, we believe these medical professionals are sincere, keep in mind that even medical doctors may disagree on certain subjects. It is our desire to expose you to many different ideas for your consideration. Our focus is on supporting the immune system, which can assist your body in staying healthy. The testimonies and information on this website only represent the opinions of the individuals involved. We encourage you to use common sense in your expectations in consuming any nutritional product. The immune system is one of our defenses against disease. The immune system is the body’s actual agent involved in healing or recovering from an illness. There are nutrients that we believe can support proper immune functions. It is not our intent to indicate that nutrition can always cause the immune system to prevent all illness or any particular illness. Nor, is it our intent to indicate that nutrition can always cause the immune system to heal us when we are ill. However, we do believe that research indicates nutrition is important for a healthy and responsive immune system. There is an abundance of research taking place throughout the world on nutrition and its effect on our health. There is a great deal of conflicting opinions and research. We live in an exciting time and many of us want to benefit from all of the breakthrough research going on. At the same time we want to be wise in our approach to healthcare. On this website we attempt to provide educational information through studies, opinions and testimonies that will provide you with a variety of perspectives for you consideration. Professional Networkers do not necessarily endorse any particular perspective other than what is shared by himself. 4Life Welcomes Dr. Tutelian - Click Here! Dr. Townsend มีประสบการณ์ด้านการแพทย์มากกว่า 32 ปี ท่านเป็นผู้บุกเบิกเทคนิคการผ่าตัดสำหรับการรักษาเนื้อร้ายในระยะเริ่มต้นในปากมดลูก นอกจากนี้ท่านยังเขียนบทความทางด้านวิทยาศาตร์มากกว่า 90 บทความ เทียบเท่ากับหนังสือการวิจัยมากว่า 15 ตอน. ท่านได้รับปริญญาแพทย์จากมหาวิทยาลัยทางการแพทย์ Louisville ในปี 1974 ท่านเป็นผู้อำนวยการแผนกบริการฉุกเฉินของโรงพยาบาล Western Baptist ใน Paducah, KY.
"ผมได้ศึกษาผลลัพธ์ที่ได้อย่างสมบูรณ์เปรียบเทียบระหว่างเด็กที่ผมดูแลอยู่ กับเด็กที่ไม่ได้ใช้ ทรานสเฟอร์ แฟกเตอร์ ในช่วงระยะเวลาเดียวกัน เด็กแปดสิบเจ็ดคน อายุตั้งแต่ 8 เดือน จนถึง 9 ปี ซึ่งใช้ ทรานสเฟอร์ แฟกเตอร์ ผมพบว่ารายงานการเจ็บป่วยลดน้อยลง 74% และ การใช้ยาปฎิชีวนะลดน้อยลง 84%" David Markowitz, M.D. "I have now completed a retrospective study comparing children in our practice with those who did not use transfer factor during the same period. Eighty-seven children, age 8 months through 9 years, used transfer factor. We found 74% less reported illness and 84% less reported use of antibiotics." David Markowitz, M.D. 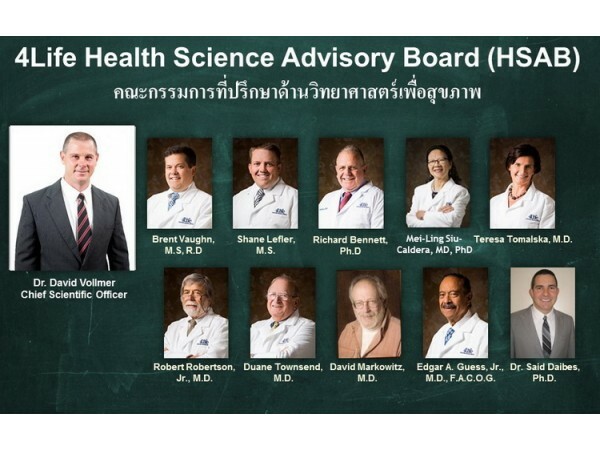 Dr. Markowitz เป็นผู้เชี่ยวชาญโรคเด็กใน Kennebunk, ME มีเด็กผู้ป่วย 4,500 คน และแพทย์อาวุโสกุมารแพทย์ในสถาบันเอกชนกว่า 19 ปี ท่านได้รับปริญญาวิทยาศาสตร์บัณฑิตจากมหาวิทยาลัย Rochester ในนิวยอร์ค ท่านได้รับปริญญาแพทย์สาขากุมารเวชศาสตร์, การฝึกอบรมเด็ก, โลหิตวิทยา, วิทยามะเร็งจากมหาวิทยาลัยทางการแพทย์ Connecticut School of Medicine in Farmington, Connecticut. Dr. See ได้รับปริญญาจากมหวิทยาลัย California, Irvine. ได้รับการแต่งตั้งเป็น ผู้ช่วย, รองศาสตราจารย์ทางคลีนิคของแพทยศาสตร์ Investigator, California Collaborative Treatment Group: และที่ปรึกษาด้านโรคติดต่อ, การปลูกถ่ายเนื้อเยื่อตับ, ท่านได้รับการแต่งตั้ง, ยอมรับ, และรางวัลวิจัยจาก Pfizer Pharmaceuticals, Upjohn Pharmaceuticals, Roche Molecular Systems, Harvard Biotechnology, National Institutes of Health, Department of Defense, and more. ผมเคยเห็นผลกระทบที่มีอันตรายอย่างมากการใช้ยาปฎิชีวนะ การใช้อย่างผิดวิธี, มากเกินความจำเป็น และการใช้เกินขนาดของยาปฎิชีวนะเป็นเวลาหลายปี ส่งผลให้ชีวิตอยู่ในอันตราย การติดเชื้อและการเจ็บป่วย รวมถึงมะเร็ง เกิดขึ้นเพราะระบบภูมิคุ้มกันบกพร่อง ซึ่งมาจากปัจจัยหลายอย่างทุกวัน และหลายอย่างสามารถป้องกันได้ สิ่งหนึ่งที่เราสามารถทำได้ก็คือสร้างเสริมระบบภูมิคุ้มกันของเราเพิ่มช่วยป้องกัน ต่อต้าน และช่วยให้ร่างการของเราซ่อมแซมตัวเอง ผมได้เห็นคำยืนยันของหลายคนที่มีสุขภาพดีขึ้นจากการใช้ ทรานสเฟอร์ แฟกเตอร์ และผลิตภัณฑ์อื่น ๆ ของ 4Life Research เรื่องราวเหล่านี้และการพัฒนาในคุณภาพชีวิตที่น่าตื่นเต้น ผมเชื่อว่า 4Life ทรานสเฟอร์ แฟกเตอร์ และ ทรานสเฟอร์ แฟกเตอร์ พลัส ช่วยให้ระบบภูมิคุ้มกันสมดุลย์อย่างแท้จริง ผมตัดสินใจว่าจะไม่เพียงแต่ใช้ผลิตภัณฑ์ 4Life Research แต่ผมจะบอกคนอื่น ๆ ให้ใช้ด้วย Magnus 'T.ibn Ale, M.D., C.M. I have seen first hand, the deadly consequences of the emergence of flesh-eating super-germs, now resistant to most of the antibiotics which were once successfully used against them. The abuse, unnecessary use and overuse of antibiotics over the years, have contributed to this life threatening development. Many infections and illnesses, including cancer, develop because of immune system failure, resulting from many day to day factors, several of which are preventable. One thing we can all do however, is to boost our immune system to help protect, defend and help our body to heal itself. I have listened to the testimonials of several healthy as well as health challenged individuals, who have used the Transfer Factors™ and other 4Life Research™ products. 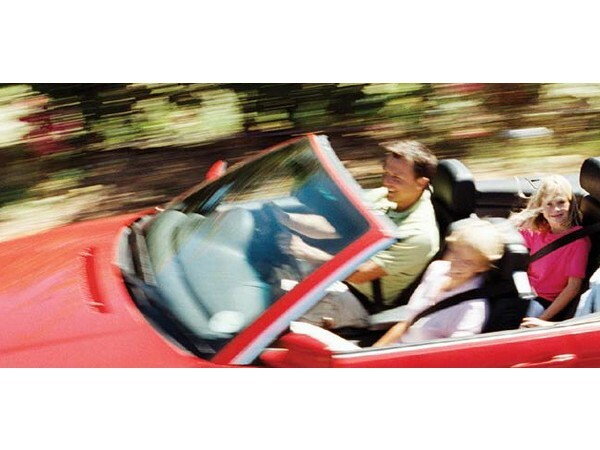 Their stories and the dramatic improvement in the quality of their lives generate excitement. I believe that 4LifeTransfer Factor™ and Transfer Factor Plus™ are true immune system modulators. 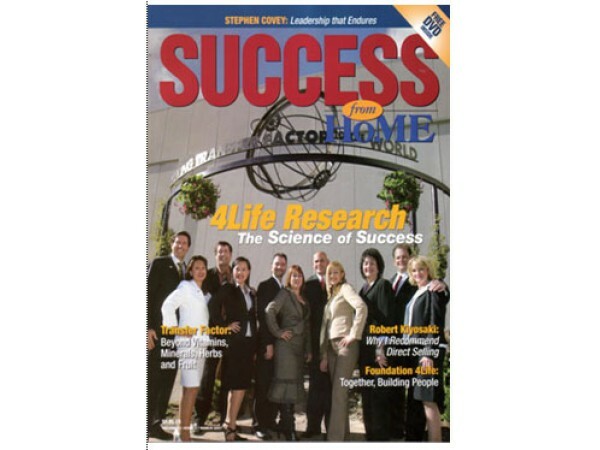 I have decided not only to use 4Life Research™ products, but also to tell others about them. Magnus 'T. ibn Ale, M.D., C.M. "Our company has proven itself to be a company that provides sound dietary supplements, in keeping with the latest research. This committment to providing revolutionary natural products is one that I am excited to help develop. I am particularly struck with the potential that exists for the transfer factor. Transfer factor is today where vitamins and herbs were 15 years ago. 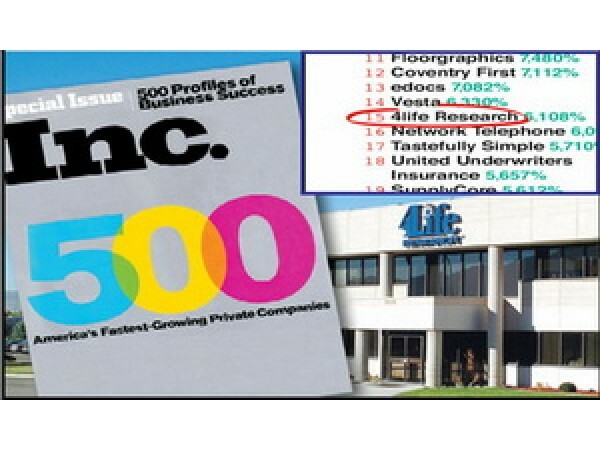 What a great opportunity is in store for those who get involved now!" "Transfer factor is the most exciting product for the immune system that I've seen in my eighteen years of practicing medicine. It has literally revolutionized my practice, particularly in terms of chronic diseases." "Transfer factor is the gift from nature that supplies the essential tools for the regulation of our immune systems, in order to properly address the challenges we face in today's toxic world. transfer factor provides the body with an arsenal of defense, unleashing the true power of the immune system." "A while ago I came down with a summer cold. I got a runny nose and a sore throat, and then my next order of transfer factor arrived. I decided I would take nothing else. In a 24-hour time period I felt great! I had no symptoms. It was like I'd never had a cold. It was very exciting for me to experience that firsthand. Quite frankly, I've never had an immune boosting experience like I had with transfer factor. It's just remarkable. I think every chiropractor should know about this product and I think people should be telling their friends about this. If for no other reason you should have it in your medicine chest for when you need a immune system boost or modulation." "The immune system is an important aspect of bringing balance to the body, and specifically, to someone who has autism. 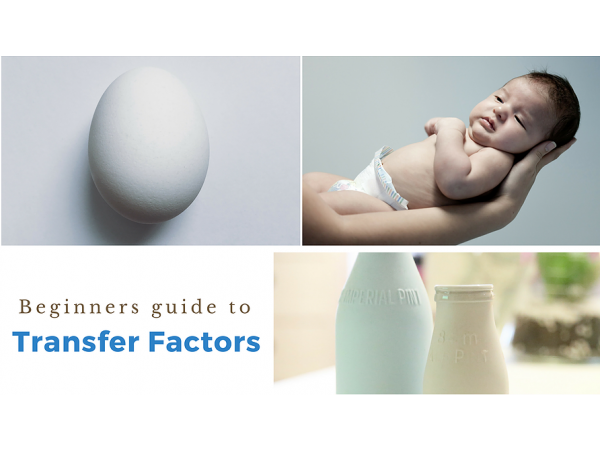 Transfer factors can be very effective because they have been shown to both boost and suppress the immune system. 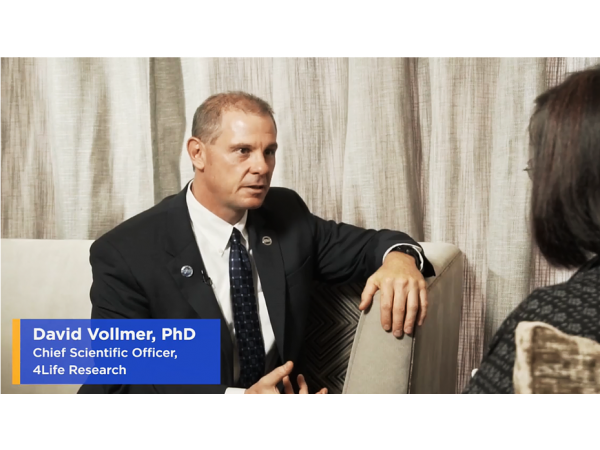 Because transfer factor can function as an immune system modulator, it can help to restore immune system balance in many types of clinical situations." Kenneth Bock, MD, best selling author on immune system modulation. "When infants are nursed they are 17 times less likely to become seriously ill. Today we understand the science behind this dramatic display of wellness. We understand that the newborn's immune system is jump started with mom's immune history via her transfer factors. Transfer factor is our tool to jumpstart our immune systems." "ในฐานะที่เป็นบุคคลากรทางการแพทย์และเภสัชกร ผมรู้จักยาและสารอาหารหลายชนิด ผมมั่นใจถึงประโยชน์ที่เกิดขึ้นจาก ทรานสเฟอร์ แฟกเตอร์ และ ทรานสเฟอร์ แฟกเตอร์ พลัส มีมากเกินกว่าที่ผมเคยรู้จัก พันธกิจของผมคือการนำ ทรานสเฟอร์ แฟกเตอร์ ให้เป็นที่รู้จักทั่วโลก ทุกคนควรจะได้ใช้ผลิตภัณฑ์ตัวนี้" Bob Kononiuk R.Ph. "As a medical professional and pharmacist, I have been exposed to a great number of medical drugs and nutrients. I am convinced that the benefits produced by transfer factor and transfer factor plus far exceed any substance that I have ever been exposed to. I have assumed the mission to take this to the world. Everyone should be on these products." "ทรานสเฟอร์ แฟกเตอร์ อยู่ในระดับเดียวกับวิตามินที่น่าเชื่อถือที่สุด เมื่อไหร่ที่คุณต้องใช้มัน? คุณจำเป็นต้องใช้มันตลอดเวลา และ ใครต้องใช้มัน? แน่นอน, ทุก ๆ คน ไม่เพียงแต่ผู้ใหญ่ แต่ลูกของคุณและสัตว์เลี้ยงของคุณ มันปลอดภัย ฉันไม่เคยเห็นผลข้างเคียงสักครั้งเดียวจากการใช้ ทรานสเฟอร์ แฟกเตอร์" Vivienne Matalon, M.D. 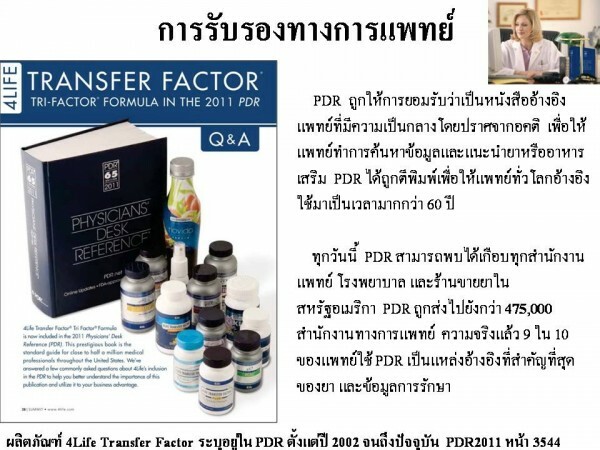 "Transfer factor is in the same class as the most potent vitamins. When do you need it? You need it all the time. And who needs it? Actually, everyone. Not only you as an adult, but also your children and pets. And it's safe. I have not documented one single side effect related to the use of transfer factor." "In my 43 years of medical practice I have never come across any pharmaceutical or nutriceutical products like Transfer Factor that can help people to get well and stay well. 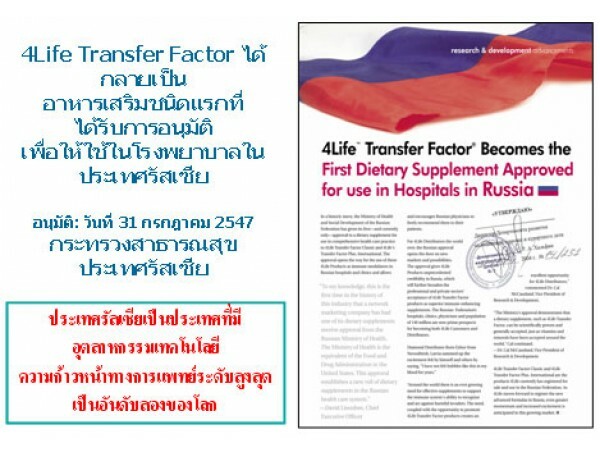 Because my friends and relatives are getting positive responses from Transfer Factor products, I have committed myself to share Transfer Factor with everyone, everywhere. Most people don't realize that they can enhance their immune system by taking Transfer Factor products. I feel very strongly that everyone needs Transfer Factor products for their health and I encourage you to join with me on this exciting mission to reduce the sufferings of our fellow human beings." "ผมโชคดีมากที่การวางแผนสำหรับการรักษาผู้ป่วยจากการปวดกล้ามเนื้อเรื้อรังทั่วทั้งอเมริกาเหนือ ทรานสเฟอร์ แฟกเตอร์ เป็นสิ่งที่น่าทึ่งเพราะว่าทำให้การบำบัดเร็วขึ้นอย่างมาก เมื่อเราใช้ ทรานสเฟอร์ แฟกเตอร์ เราจะได้รับผลลัพธ์ที่ดีขึ้น โดยเฉพาะอย่างยิ่งกับผู้ป่วยเรื้อรังและผู้ป่วยหลายโรคพร้อมกัน ผมนับถืออย่างมากกับ 4Life ซึ่งนำชีวิตและครอบครัวกลับมาอยู่ด้วยกัน" Joe Elrod, Ph.D. Through 4Life™, I have been very fortunate to place fibromyalgia patients on our protocol throughout North America. Transfer factors are remarkable because the recovery process has been expedited greatly. Now that we have transfer factors, we are getting even better results, especially with the more chronic stages and conditions of the syndrome. The executives and scientists behind this company and product have impeccable credentials. I consider it a tremendous honor and privilege to be a small part of this wonderful 4Life™ effort that is effectively putting lives and families back together worldwide." Dr. Elrod received his Doctoral Degree in the field of Health, Physical Education, and Recreation. For fifteen years, he served as a professor at Auburn University. He has done extensive research in the field of fibromyalgia and is the author of the best-selling book Reversing Fibromyalgia. He has served as a member of many boards and committees, including Programs for Exceptional Children and American Alliance for Health. การฟื้นฟูและบำบัดอย่างยาวนานซึ่งรวมถึงการค้นคว้าและหาสารอาหารซึ่งช่วยอาการภูมิแพ้ ผมใช้เวลากว่า 7 ปีในการรักษา ความสนใจของผมในเรื่องของการป้องกันโรคและสุขภาพทีดีมีมากขึ้นเรื่อย ๆ ผมเห็นว่าสารอาหารช่วยสร้างความแตกต่างอย่างมากและมีประสิทธิภาพมากกว่ายา เมื่อผมได้รับคำแนะนำเกี่ยวกับ ทรานสเฟอร์ แฟกเตอร์ ซึ่งพัฒนาโดย 4Life Research จากเพื่อนคนหนึ่ง ผมได้ผลลัพธ์ที่ได้จากการใช้ผลิตภัณฑ์นี้ในการใช้ร่วมกับยาดีกว่ายาเพียงอย่างเดียว นี่กลายเป็นขั้นต่อไปของผมในการทำงานด้านสารอาหาร, การป้องกันโรคและการมีสุขภาพดี เพื่อนของผมบรรยายผลิตภัณฑ์นี้ที่ American Association of Equine Practitioners meeting in Texas ผมพบว่าที่นี่ยังมีโอกาส ไม่เพียงแค่สร้างทักษะ แต่ยังสามารถทำให้เกิดรายได้ที่ดีด้วย 4Life Research เป็นบริษัทที่น่าประทับใจและเป็นผู้เชี่ยวชาญ 4Life พัฒนาผลิตภัณฑ์สำหรับระบบภูมิคุ้มกันเป็นรายแรกสำหรับมนุษย์และสัตว์ ผมพบว่า 4Life มีศักยภาพมากและสามารถสร้างรายได้ให้กับผม แต่ผมจะสร้างธุรกิจเครือข่ายได้อย่างไร? Mike Akin เป็นผู้แนะนำผมเกี่ยวกับการสร้างองค์กร บริษัทของเขาชื่อว่า Professional Networkers ผมเปิดดูเว๊ปไซต์และพบคำตอบทั้งหมดที่ผมต้องการ Professional Networkers มีระบบสนันสนุนทั้งหมด ตั้งแต่พนักงานทีเชี่ยวชาญประจำ 36 คนเพื่อช่วยเหลือผม Ken Hansen, D.V.M. "ผมเป็นหมอครับ ตอนแรกผมไม่แน่ใจเกี่ยวกับประโยชน์ของ ทรานสเฟอร์ แฟกเตอร์ จนกระทั่งผมเริ่มสังเกตุเห็นผลที่ได้ของระบบภูมิคุ้มกันของคนไข้ของผม ตอนนี้ครอบครัวของผมทุกคนใช้ผลิตภัณฑ์ 4Life ทรานสเฟอร์ แฟกเตอร์ เป็นของขวัญของชีวิต" Dr.Edgard B. "I am a medical doctor. 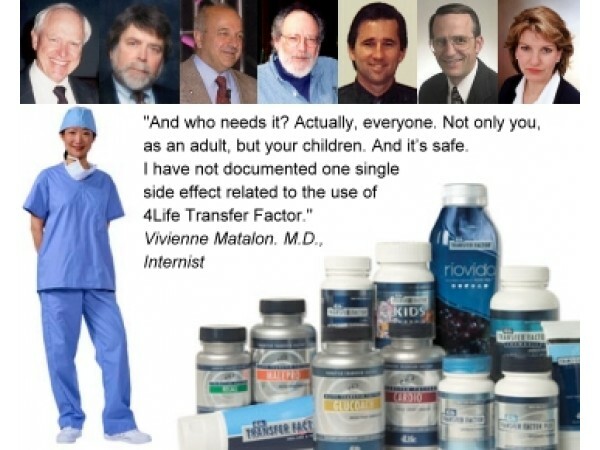 At first I was skeptical about the benefits of 4Life Transfer Factor® until I began to notice the immune system support it provided to my patients. One thing I cannot do without in my household is 4Life Transfer Factor Kids. My entire family takes 4Life Products. They really are gifts of life."